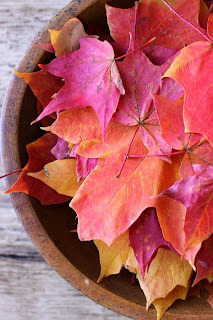 Playing along with this weeks Tuesday Trigger - inspired by the gorgeus colors and autumn leaves! 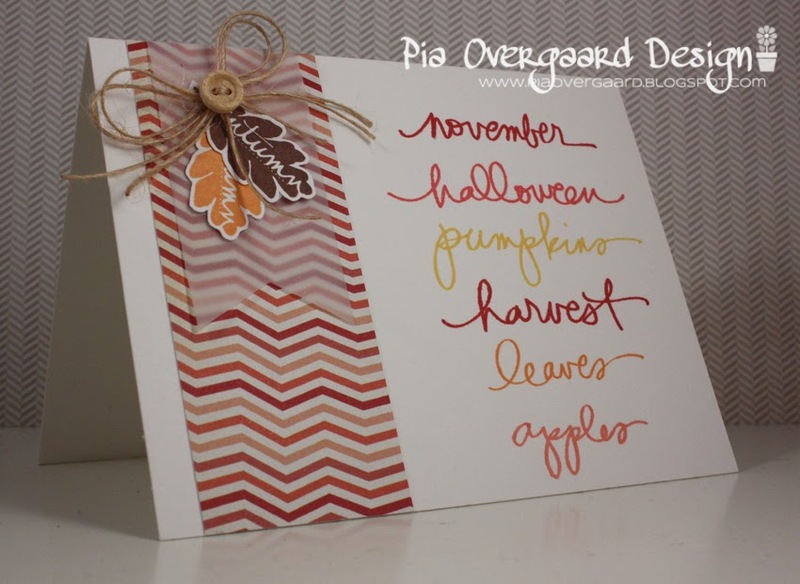 The paper with the fun chevron on an angle is from last years Studio Calico Dearling Dear paper pad! Just found this paper pad among my stash - I have been hoarding it - now it was time to put it to use! I layered a piece of vellum ontop of the chevron piece to create a more "quiet" background for the stamped leaves from Ali Edwards' Autumn Afternoons. Other: Studio Calico Darling Dear paperpad, vellum, twine, wood button, bazzill cardstock. Very pretty and the wooden button is fab with the twine and the autumn look. Love your card - such lovely details with the vellum, button and twine! Sweet Pia! Love the fall feel of this card. Fabulous sentiment words too! 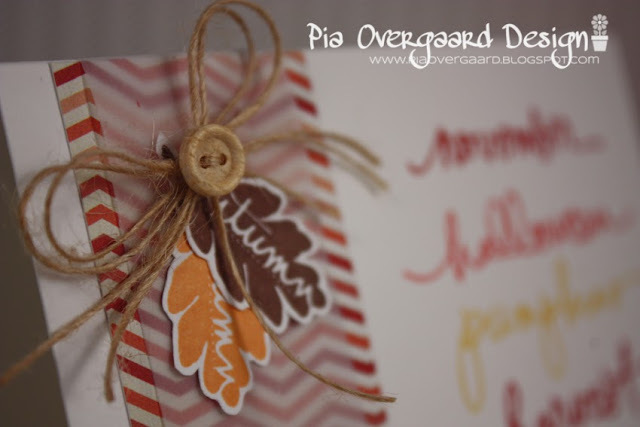 Pia, your card is absolutely gorgeous! Wonderful design and details! I love the way you have overlaid the chevron panel with the vellum and gorgeous leaf embellishment!